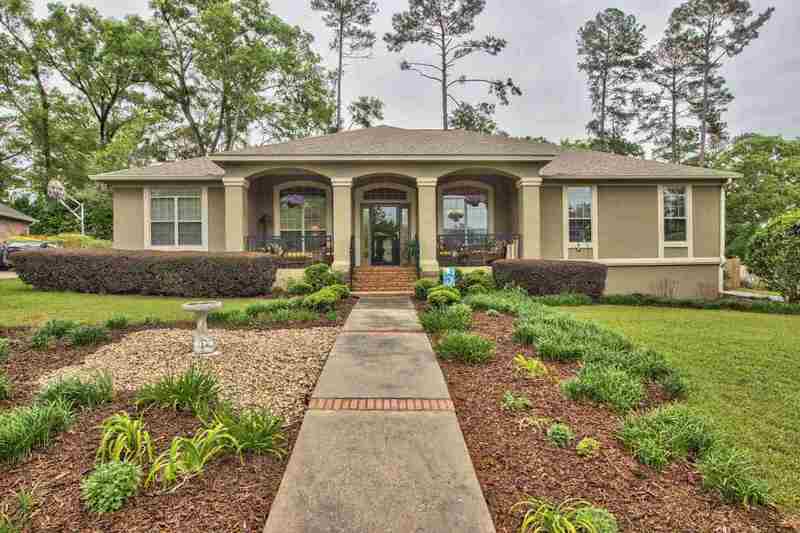 Incredibly nice, well maintained home in popular Gardens of Killearn neighborhood. Gorgeous landscaping, large front porch, solid wood front door with stained glass and transom window and generous foyer makes for a very inviting impression for you and your guests. Recent updates with hardwood flooring, kitchen updates, 2014 roof, sun tunnels, landscaping and so much more. Wonderful split bedroom floor plan, total of 4 bedrooms and 3 full bathrooms, family room, living room, dining room and open eat-in kitchen with bar. Owner’s suite includes a huge bathroom with dual vanities, jetted tub and large walk-in closet. Enjoy times spent in the bonus room or screened porch overlooking the sunny privacy fenced back yard. Nice quiet setting on a cul-de-sac and great area for taking walks.